I’ve recently stumbled upon doarama.com a new website to visualize your flight paths in a 3D map, alongside the original drone video. Even tough the website is till beta, it looks really awesome. Here is my Zaggometry test flight from last summer. Check it out! All I needed to provide was the GPS coordinates of the Discovery Pro drone in .gpx format and a link to the corresponding youtube video. This is pretty simple. You can swap the position of the video and 3D map, by clicking the smaller one. The visualization needs WebGL, which is fine with Firefox and Chrome and Internet Explorer. In Safari it first needs to be enabled. 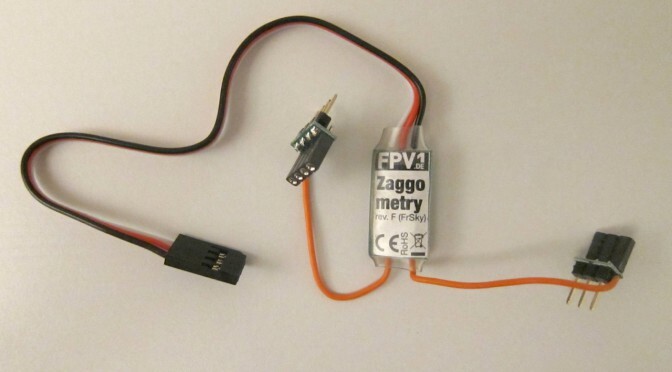 The Zaggometry is a clever little piece of electronics which can read the NAZA GPS coordinates of you copter and send it over the telemetry link down to your Taranis RC-remote for display and logging. In other words, it is a bit like a Flytrex Live flight recorder for your Taranis. The 29€ Zaggomety was developed and is produced(!) by Eberhard Rensch in Germany. In this article I would like to show how I installed it in my TBS Discovery Pro and the data I logged during a test flight (video).